Though I hated them as a kid, now I LOVE Brussels Sprouts. Usually I just eat them roasted with a little olive oil and sea salt, and maybe a squeeze of lemon juice. I also love them in pasta, or alongside roasted fish or poultry. But recently I discovered how delicious they are raw grated or thinly sliced into a slaw or salad. This salad was inspired by a recipe I saw in the New York Times this past November. 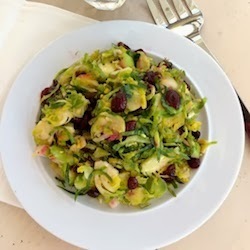 That recipe was for a warm Brussels Sprout Slaw, but I thought it would be great to keep it simple and just to serve everything raw, tossed with a tangy vinaigrette. 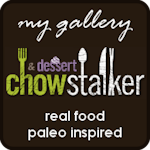 As always, this recipe is gluten, soy and dairy free! Combine the olive oil, apple cider vinegar, lemon juice, mustard, and maple syrup in a mason jar. Season with salt and several turns of black pepper. Cap the jar, and shake until combined.Taste for seasoning. On a cutting board slice Brussels Sprouts length wise in half. Place the halves of the Brussels Sprouts cut side down on cutting board and very thinly slice (“shred”). Alternatively, you can also use the grater attachment of a food processor. Transfer shredded Brussels Sprouts to a large bowl. 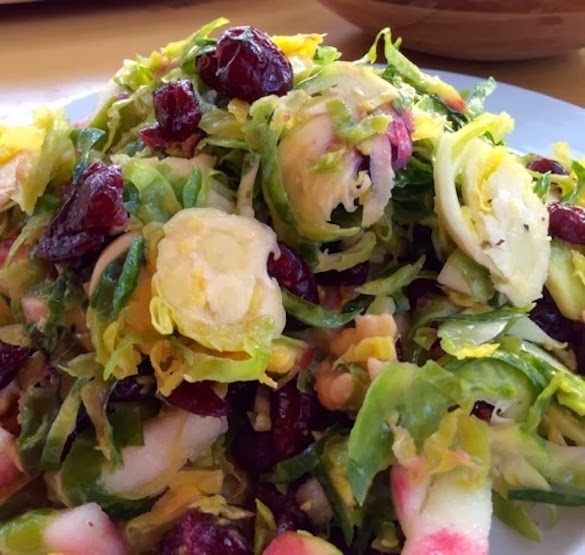 Add walnuts and dried cranberries to Brussels Sprouts. Drizzle with half of the vinaigrette, tossing to combine. Add additional vinaigrette if needed. You want to coat the shreds, not drown them. (refrigerate remainder of the vinaigrette). Toss and and let stand to for 15 minutes. Serve and enjoy!